Today, technologically advanced countries are working to build an aeroplane capable of conducting multi-day flights using solar energy. There already exist several remotely controlled aeroplanes capable of staying airborne from a week to an entire month. The problem is that they can only carry a payload of 5-10 kilograms, and are used for reconnaissance rather than carrying cargo or passengers. 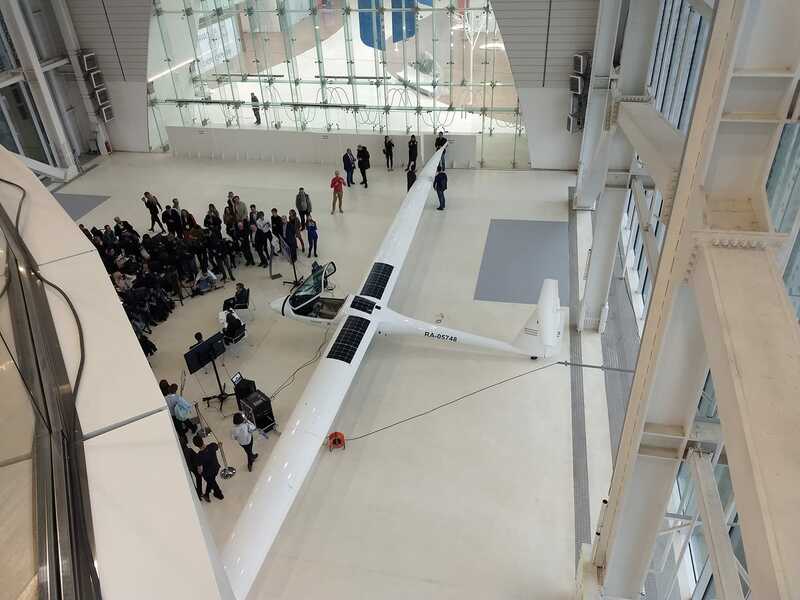 For example, the record-holder for the longest flight is the UAV Zephyr 8, which remained airborne for 25 days while carrying an operational load of just 5 kg. The next stage in the development of solar-powered aeroplanes is multi-day nonstop flights with a person on board. It is considered that we will see the first such flight in 2021. 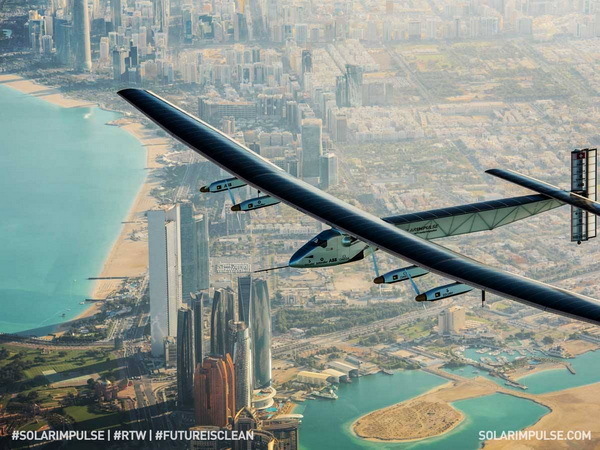 So, 60 years after the first piloted circumnavigatory flight, a person will be able to fly around the world nonstop without burning any fossil fuels, using only the power of the Sun. Such a flight would not be less significant than that of Yuri Gagarin. In the history of world aviation, there has only been one solar-powered circumnavigation of the Earth. In 2015-2016, Swiss pilots Bertrand Piccard and André Borschberg flew more than 42,000 kilometres in 558 hours with a total of 17 landings. 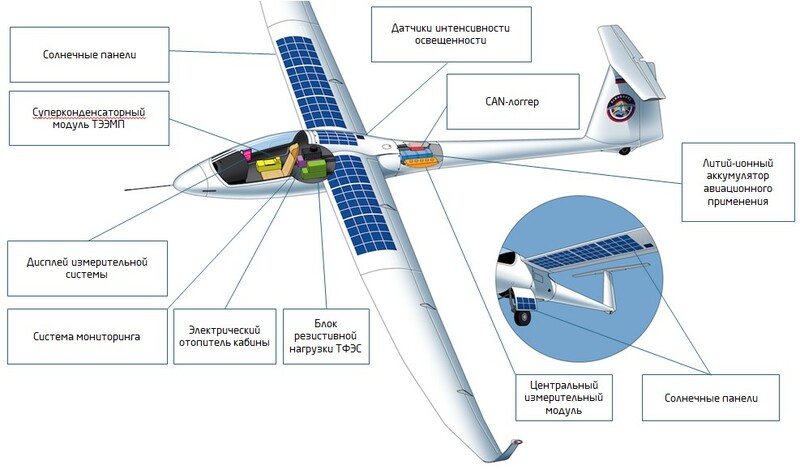 Since then, teams from Russia, China, the USA, the UK, Australia, and other countries are working together or independently to create a pilotable aeroplane able to carry 100-150 kilograms payload and fly around the world without landing or re-charging – using only the energy of the Sun. 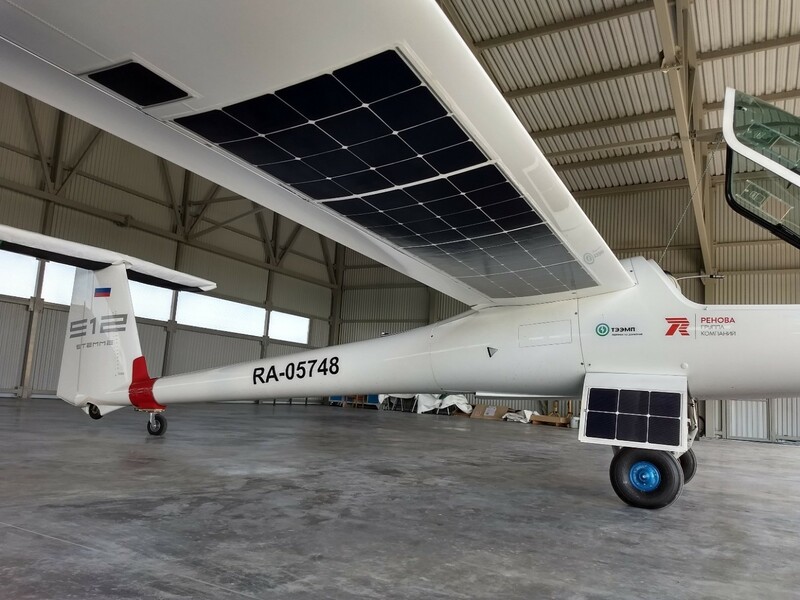 In our country, the technological companies ROTEC and TEEMP have been working for several years on the project “Albatross – around the world on solar energy”. 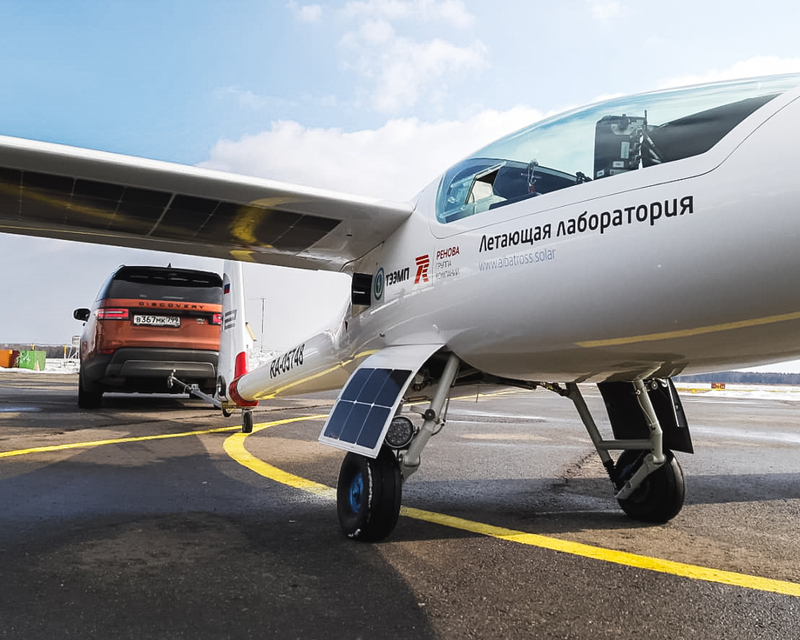 Currently, data is being gathered, and a team is being put together of the best specialists in the spheres of aviation engineering, photovoltaics, energy storage technologies and meteorology. 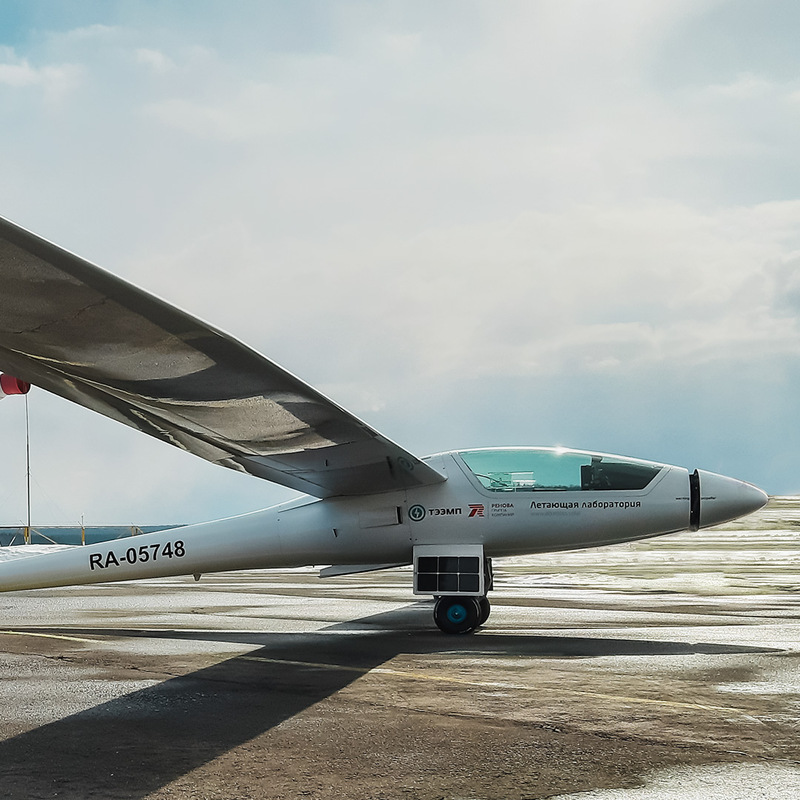 The project “Albatross” requires the design of an aeroplane with an electrical energy generator and solar modules as an energy source for the first nonstop circumnavigatory flight. 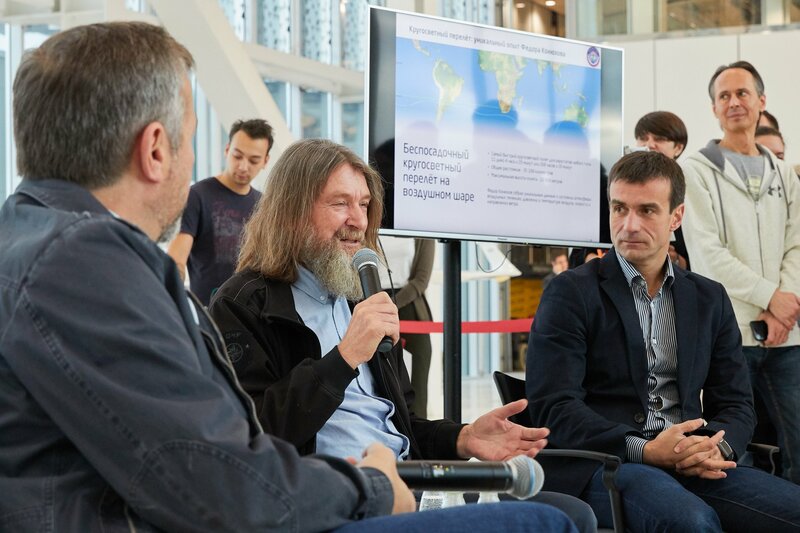 The founders of the project are Chairman of the Board of Directors of OJSC “ROTEC”, Mikhail Lifshits and adventurer, pilot, member of the Russian Geographical Society and FAI Pilot of the Year – Fedor Konyukhov. 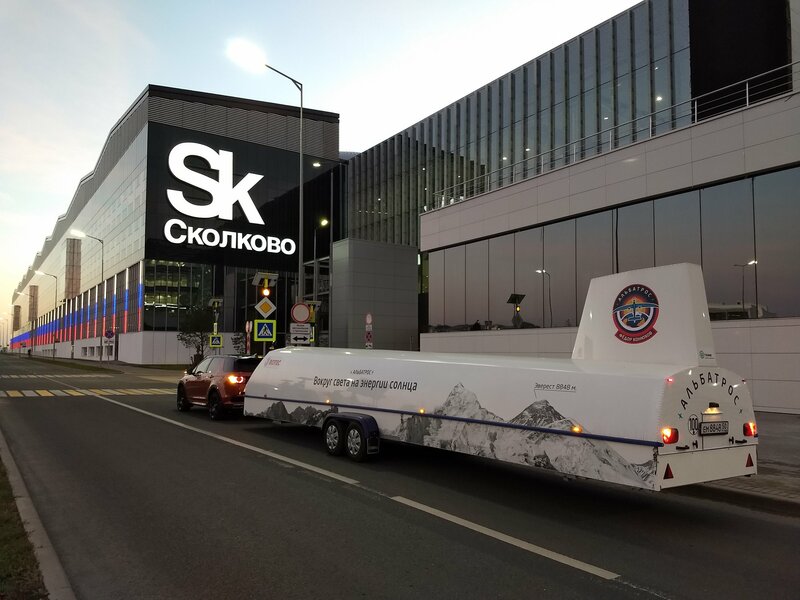 Russian developer and producer of supercapacitors and energy storage systems, Skolkovo resident TEEMP, a subsidiary of ROTEC group are undertaking the project. In studying their predecessors, the team behind “Albatross” found that previous aeroplanes had been built without a reliable basis of estimates. Our predecessors lacked data on how much energy the aeroplane would accumulate at different altitudes and latitudes, as well as at different times of the day and positions with relation to the Sun. In order to design an optimal aeroplane, it is necessary to collect this data and subject it to some serious analysis. It was on this basis that we decided to create a Flying Laboratory (FL). 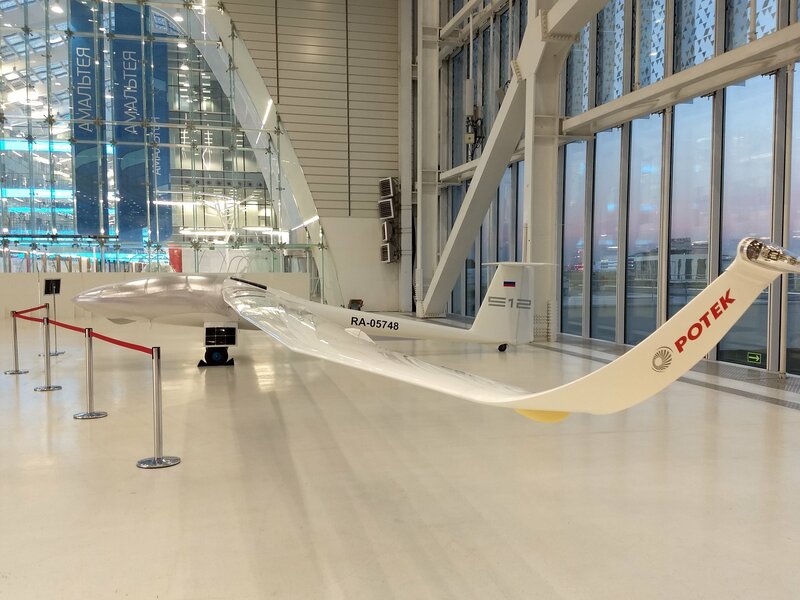 At the end of 2017, the parameters and tasks were set for the FL – a prototype for developing the technologies necessary to create an aeroplane that can fly around the world. 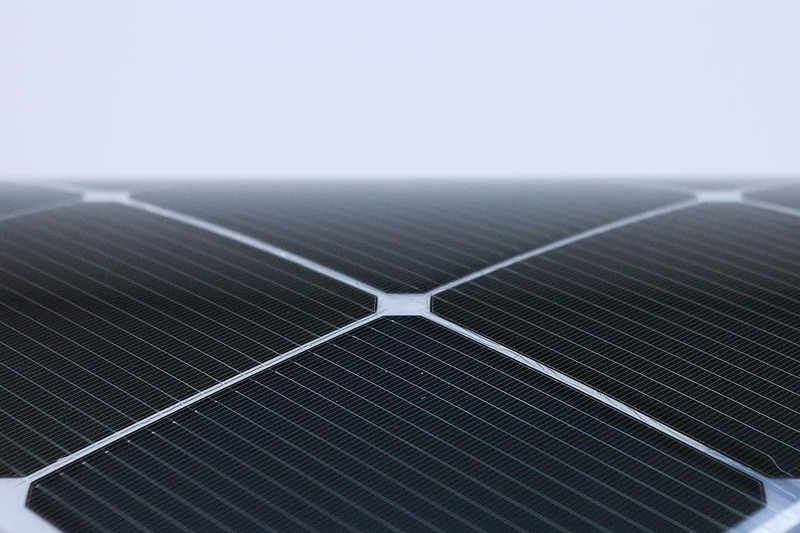 Using TEEMP’s technologies, the Research and development center for thin-film technologies http://tf-tc.com/researches/ (St Petersburg) manufactured several lots of 22% efficiency, heterojunction solar panels able to capture reflected as well as direct sunlight. This solution allows the panels to be mounted on the underside of the plane, increasing its power supply area. Thanks to Albatross research programs, panels were produced which are being used in several record-breaking projects. 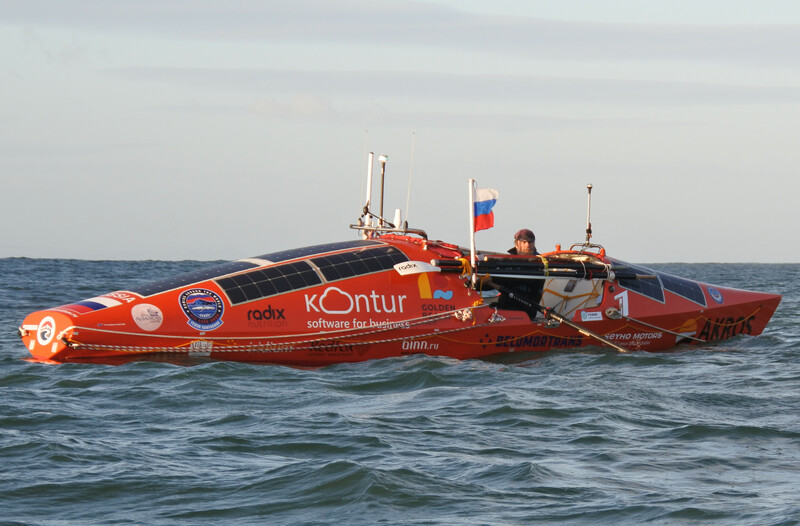 For example, the flexible solar modules manufactured for the Flying Lab were installed on the rowboat “AKROS”, aboard which Fedor Konyukhov is at the present moment undertaking a solo journey from New Zealand to Cape Horn. 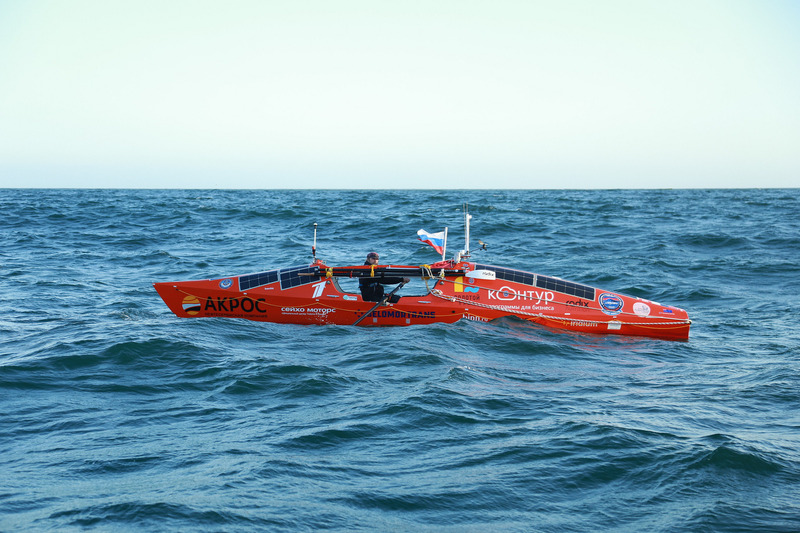 The distance of the voyage is more than ten thousand kilometres, and will take an estimated 150 days to complete. The solar batteries for the future circumnavigatory flight of the Albatross are being tested in the harsh latitudes of the Southern Ocean. 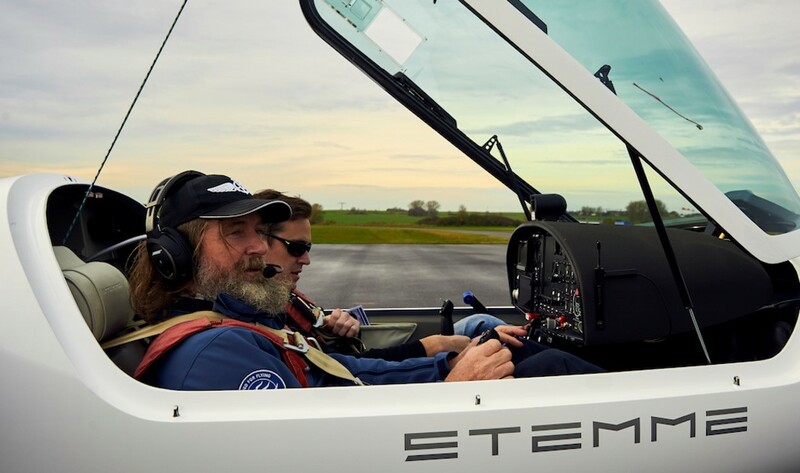 From November 2017-March 2018, together with the companies TEEMP, Carbon Wacker and Acentiss, a power unit operating on energy from solar panels in combination with energy storage modules were developed and installed on board the Flying Lab. 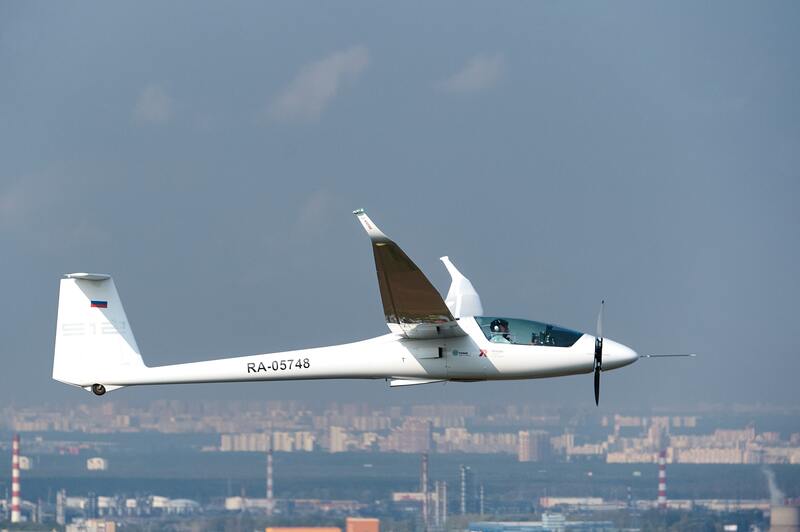 In April 2018 in the Moscow region, a test flight, the first for the Flying Lab – an aeroplane with a wingspan of 25 metres – was conducted. 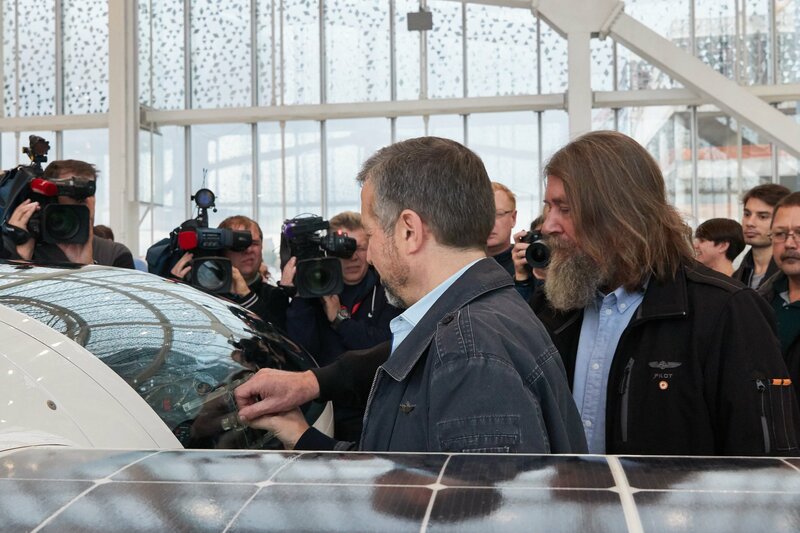 The world’s first manned flying laboratory in the field of photovoltaics has been created. 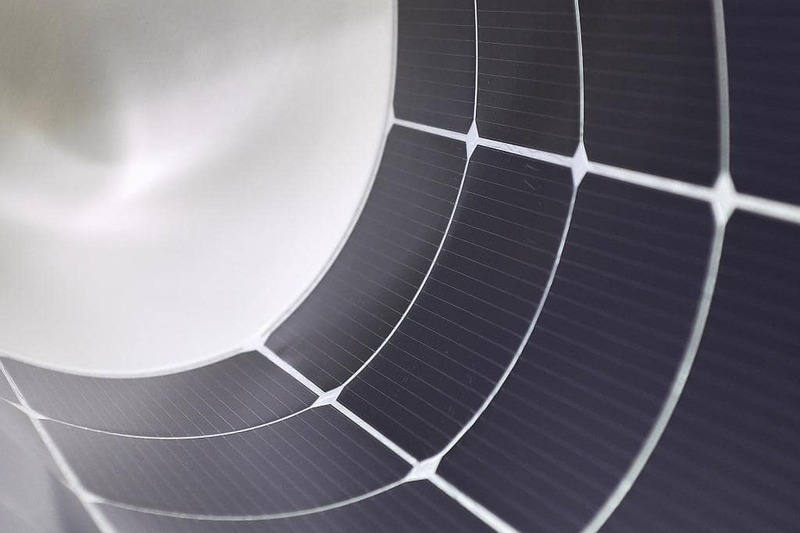 It is a unique research suite which allows technologies to be tested in real climatic conditions: extreme temperatures, at different levels of pressure, and broad ranges on the spectrum of solar energy. At this point, ground infrastructure for the Flying Lab’s storage and maintenance was also created. 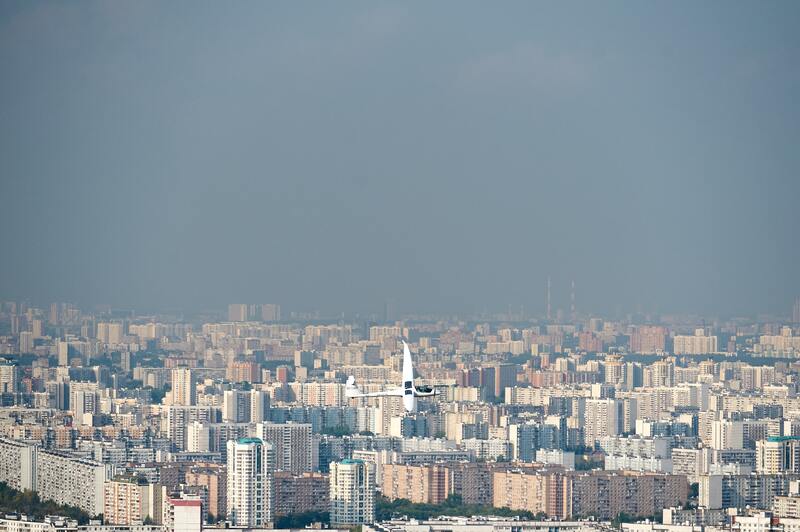 The base is located at “Severka” airfield in the Kolomenskiy District of the Moscow Region. From May until September 2018, equipment tests were run, including test flights. Data was gathered and analysed. 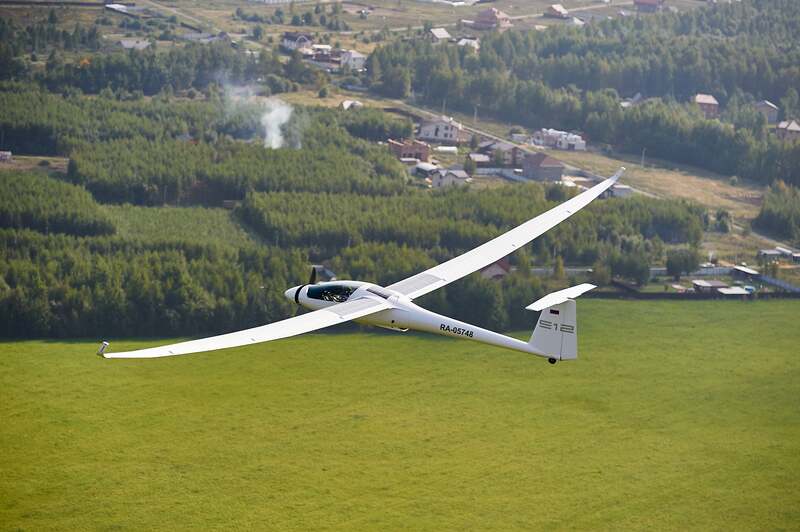 Dennis Craddock/Richard Roake (New Zealand) based on the existing high-altitude glider Perlan 2 concept. All three companies confirmed the feasibility of a piloted aeroplane capable of flying around the world with an operational load of 100-150 kilograms on board. This project is on the cutting-edge of technological possibility. Our task is to find out what those technological possibilities are, record them and set about building an aeroplane which can accommodate changes in construction related to the constantly increasing effectiveness of solar panels and power storage systems. Even now, we have just dramatically changed the drive system to a hybrid version. 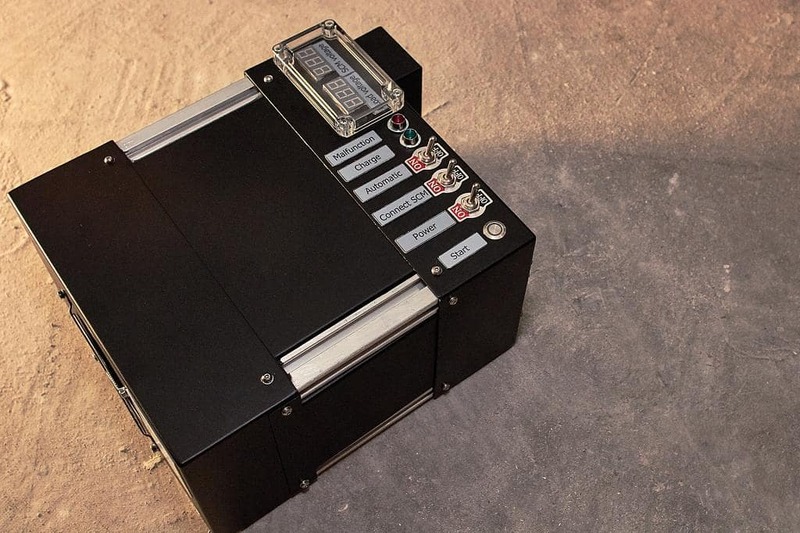 In order to store captured energy, we are going to use a hybrid system: a lithium-ion battery modified for aviation in combination with a supercapacitor produced by the company TEEMP. Supercapacitors have massive energy potential and can retain full performance at temperatures below -60°С. In a hybrid system, they act as a “buffer”, shielding it from overload, overheating, or overcooling. 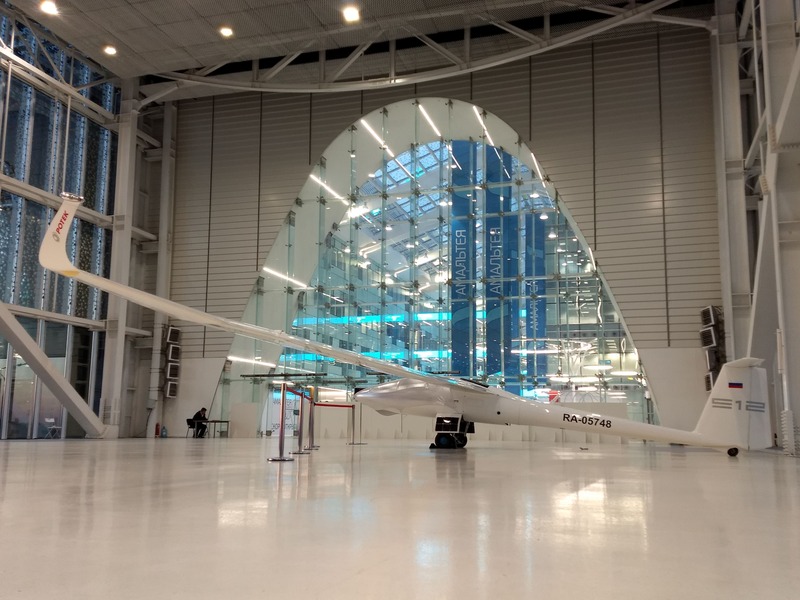 In the Swiss project Solar Impulse 2, one of the problems was overheating resulting in failure of the lithium-ion batteries gathering solar energy for flight in the absence of daylight (at night). 9 months was spent producing and changing the batteries. 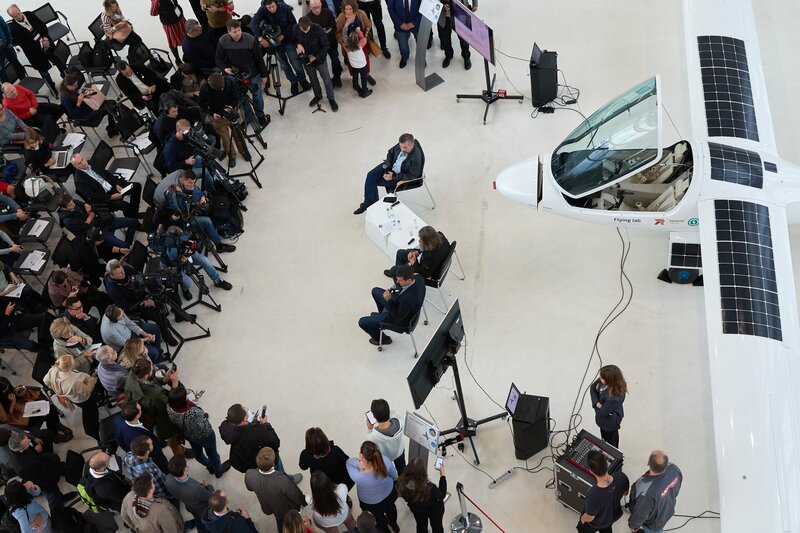 25 October 2018, the Technopark “Skolkovo” held a presentation of the “Albatross” project about creating an aeroplane with an electric power generator designed for solar energy, that would complete a non-stop flight around the world. 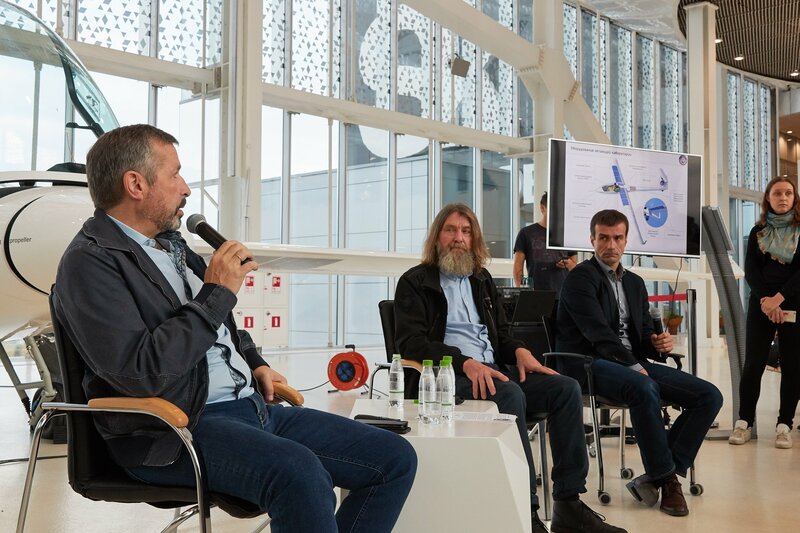 The project was presented by its director Michael Lifshits and adventurer and pilot Fedor Konyukhov. 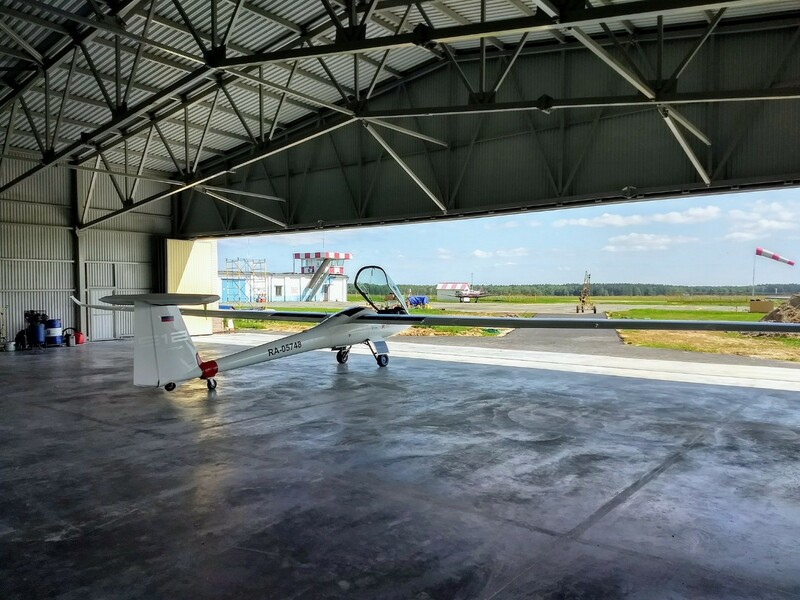 – Continuing flights of the Flying Lab in the Moscow and Mt. Elbrus regions with the aim of gathering data and testing equipment. – Developing the aeroplane’s design for circumnavigation. – Selecting an aviation company to build RTW aeroplane. Private companies in Germany, France, England, and Russia are being considered. 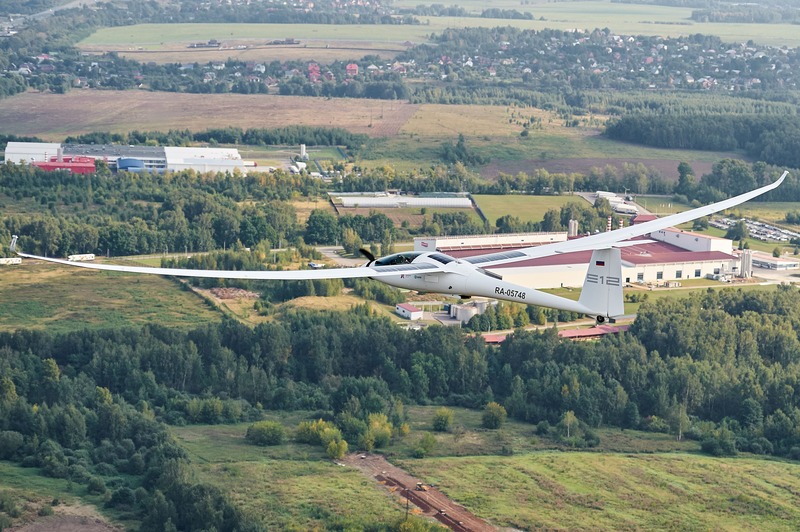 The project “Albatross” establishes as its task not only the creation of an aeroplane and conducting a record flight, but also to gather best specialists and the unique technologies and knowledge for future use in renewable energy aviation projects. In the second half of 2019, the construction of the circumnavigatory aeroplane will commence, with an estimated construction time of 20-24 months. 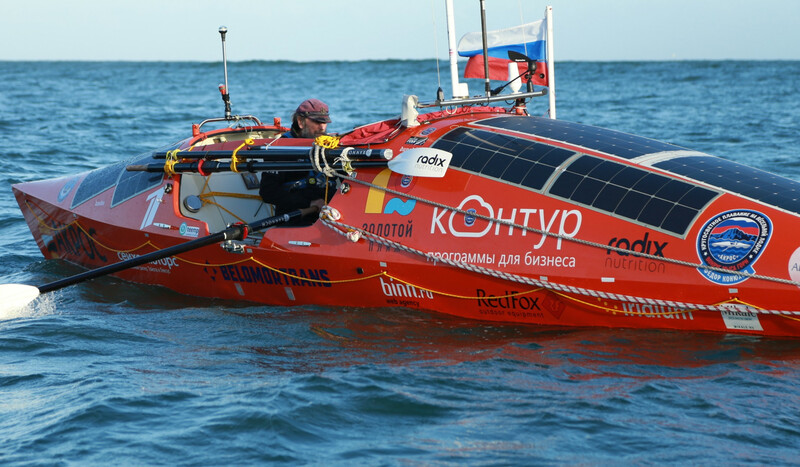 Fedor Konyukhov plans to perform non-stop solar powered flight around the world using the same route he took in 2016 when successfully completed RTW flight in Roziere balloon in 268 hours beating Steve Fossett solo record by 2 days. 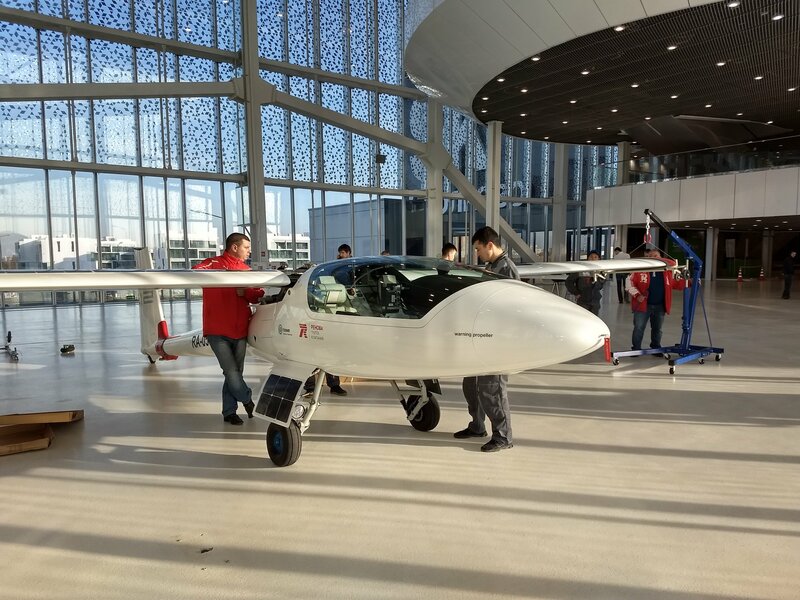 Assumed that the record flight altitude will be 10-12 km, and average speed — 200 km / h. The “Albatross” aircraft will cover necessary 37 thousand km for ~180-190 hours.